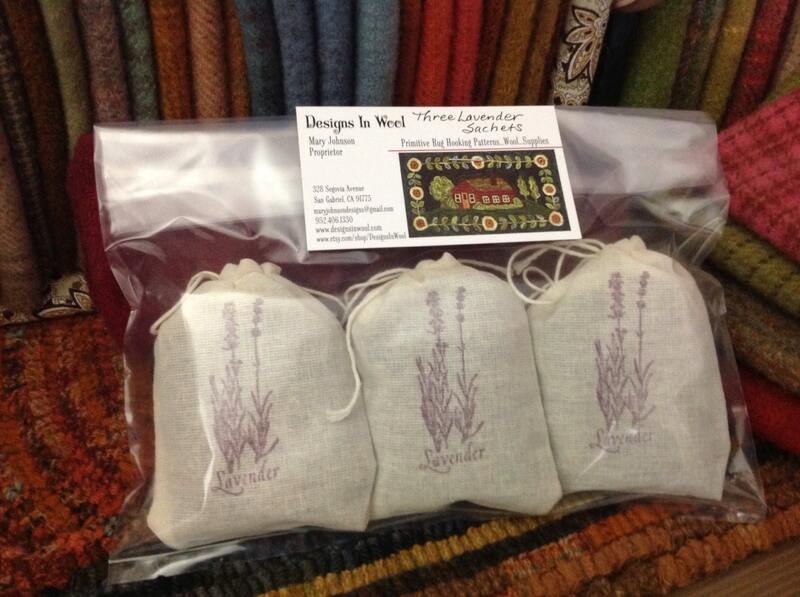 This listing is for THREE lavender filled muslin bags. 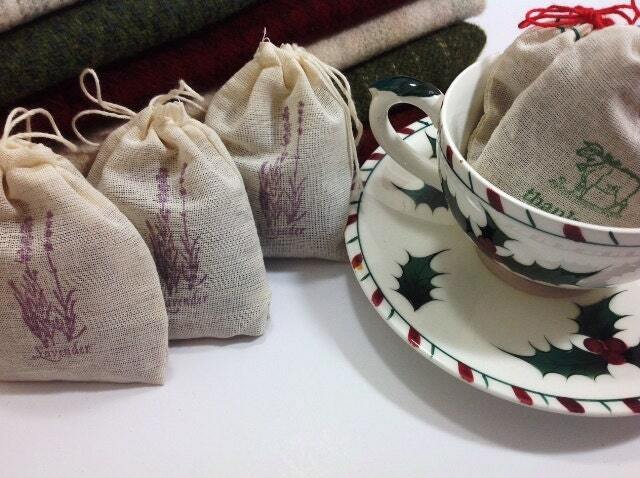 The bags are 100% cotton muslin, American made, and are about 3" x 4" in size filled with 1/4 cup of lavender. I have hand stamped each with either a lavender flower or sheep stamp. 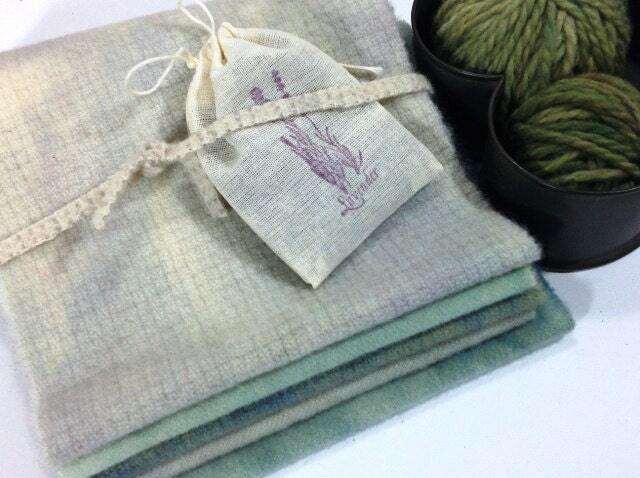 A great gift for your rug hooking and applique friends, anyone who has a wool stash. Tuck one in along with a gift of wool during the holiday season. Lavender has been used for thousands of years to add a fresh scent to closets, dresser doors and linens. I have been tucking lavender sachets in my wool inventory for years, not only for its lovely scent but also as a deterrent for moths. The lavender scent will last a long, long time. Just give the bag a little shake or squeeze from time to time. Place these bags among your linens to add a sweet soothing scent and as a moth and other insect repellant. Tuck a sachet under your pillowcase during the day and receive a relaxing heavenly scent at bedtime. FREE shipping when purchased with another item. Shipped USPS 1st Class. Fast delivery, these are darling - my daughter will love them for Christmas. LOVE these! The smell so good and were quickly shipped. I will definitely be ordering from her again!